Posted April 16th, 2018 by Masterpiece Marketing & filed under Uncategorized. What Masterpiece Marketing would like you to imagine is that you have a great new product or service to present to your clients or customers. But in this scenario, that product or service is . . . let’s just say not exciting in the way that a ‘60s sci-fi drama may have been. It may be an essential service or an item that everyone is going to need at one point or another. But the simple fact is that not all necessary or invaluable things are jump-out-of-your-seat exciting. That’s where Masterpiece Marketing comes in. We can take any product or service and make your client base sit up and take notice! One such example is yard work. Although many people do enjoy yard work, a service that picks up your clippings and other waste would not necessarily spark their imagination. 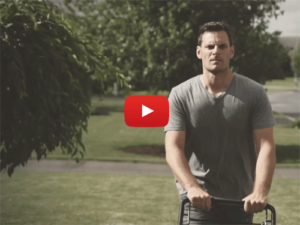 We produced a video for just such a service that imagined other outside-the-box uses for a simple clippings tote. Now people can be excited to use it! Another instance involves tax credit, a topic that few aside from accountants and financial planners would likely describe as fun. However, Masterpiece created a comic book-like panel of explanation that features graphics and language that harken back to childhood afternoons spent sprawled on the floor with Superman or Spiderman. 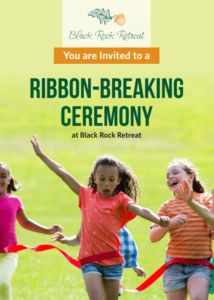 A ribbon-cutting ceremony already carries a certain level of excitement, as Black Rock Retreat’s does in May. But with an eye-catching and attention-grabbing invitation from Masterpiece, that excitement level ratchets up even more. Now people will be looking forward to the ceremony even more! 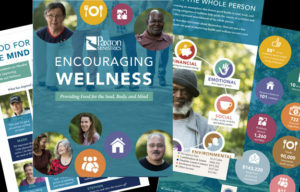 Finally, with infographics like those Masterpiece recently provided Paxton Ministries, you can take complex data that may be overwhelming or confusing and display it in a visually compelling way that people will WANT to read. So if you’ve got something valuable to present to your clients or customers and you’d like to make it more exciting, Masterpiece Marketing is here to help. Working together, we can craft a message that just may spark imagination and drive business. To again paraphrase Rod Serling, This is the dimension of imagination. It is an area which we will call The Excitement Zone.